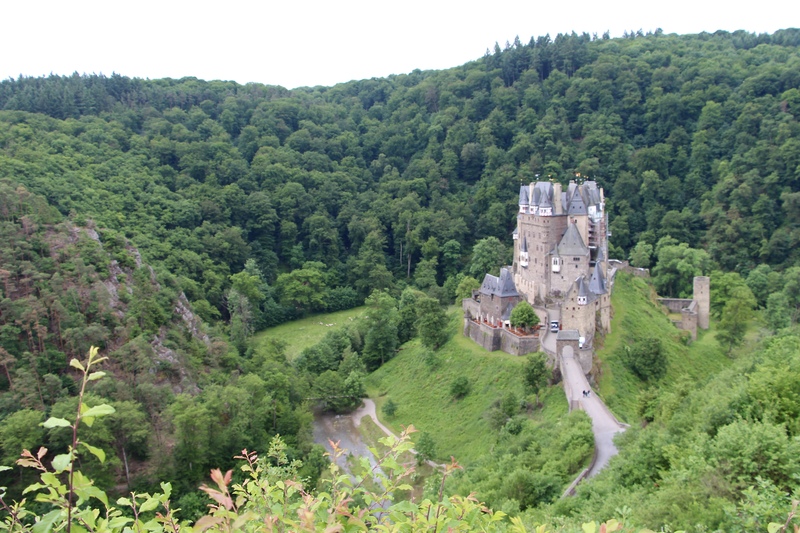 Eltz Castle, or Burg Eltz in Germany, is a stunningly beautiful, impeccably-preserved, 850 year-old fairytale-like castle that, upon seeing it for the first time, will make your jaw hit the floor. 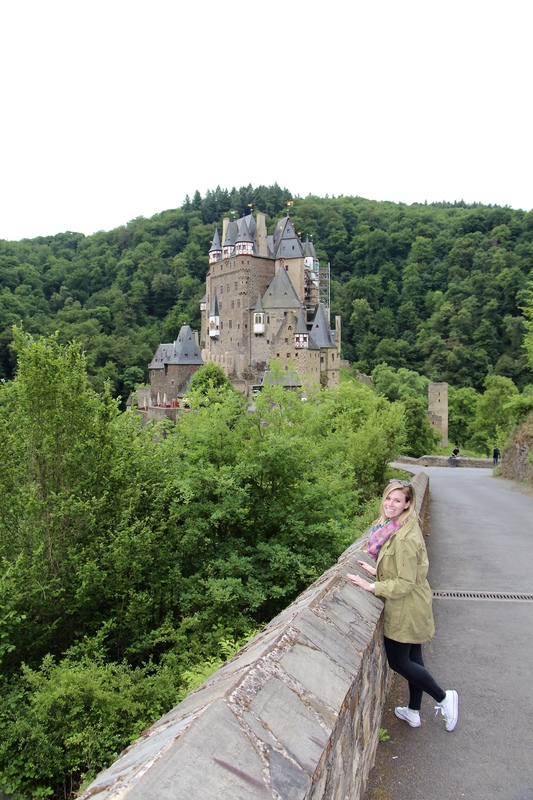 It’s a masterpiece, and touring it was an absolute highlight for me on our recent trip to Germany. 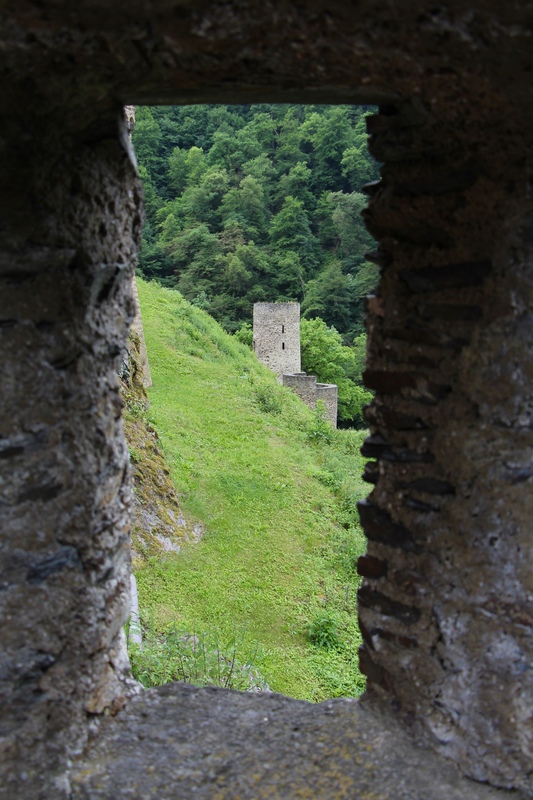 Its also the way you come to the castle that makes you feel like you’ve stumbled into a magical place. 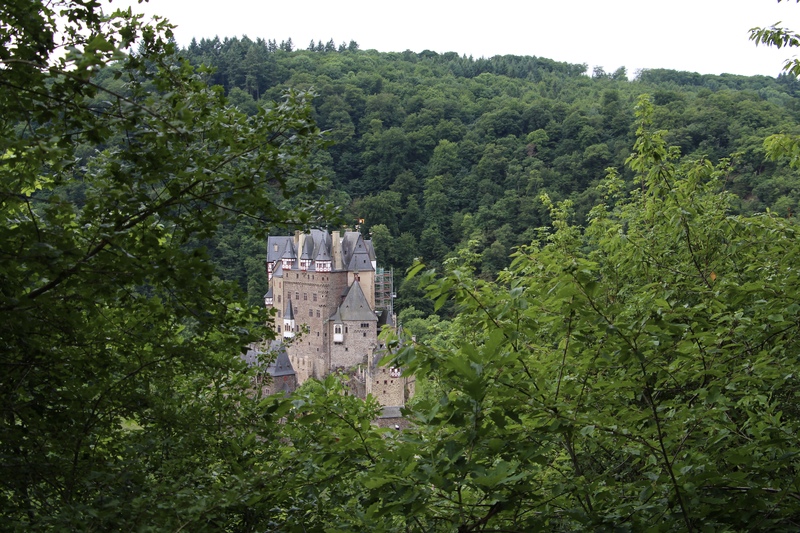 You begin to walk along a winding road leading you downhill, and then all of sudden, you see the castle’s stone and spires against the trees in the wooded valley below you. There are sheep grazing in the fields surrounding the castle, a winding stream of babbling blue water cutting through the green, and also birds are chirping softly because… obviously. I have never seen such a magical, tranquil setting. 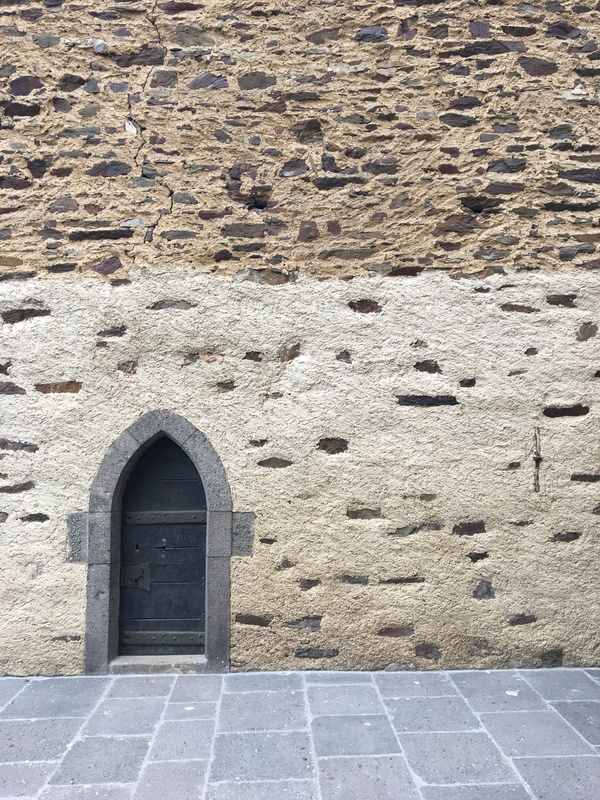 The whimsical, fairytale-loving part of myself wanted to pack up and move right in… to the highest room in the tallest tower of course! 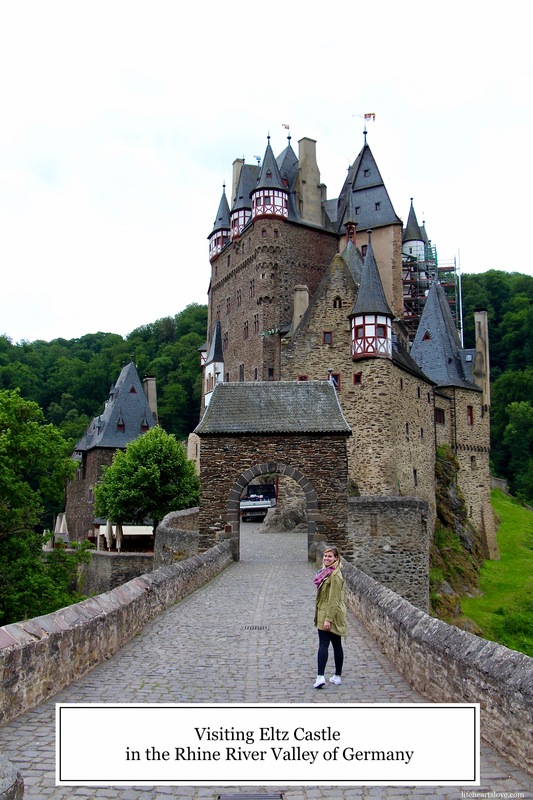 Getting to Eltz Castle can take a little time, as it’s slightly off the beaten track in Germany’s Rhine Valley region. 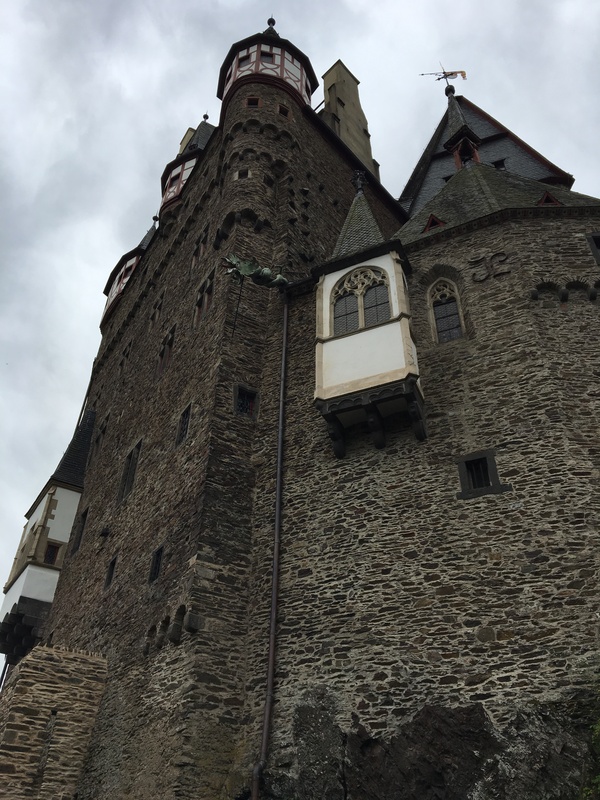 We rented a car and drove 35 minutes from Koblenz to make the visit, before continuing on to Munich. We arrived promptly at 9am to avoid crowds, and ended up being the first visitors of the day! 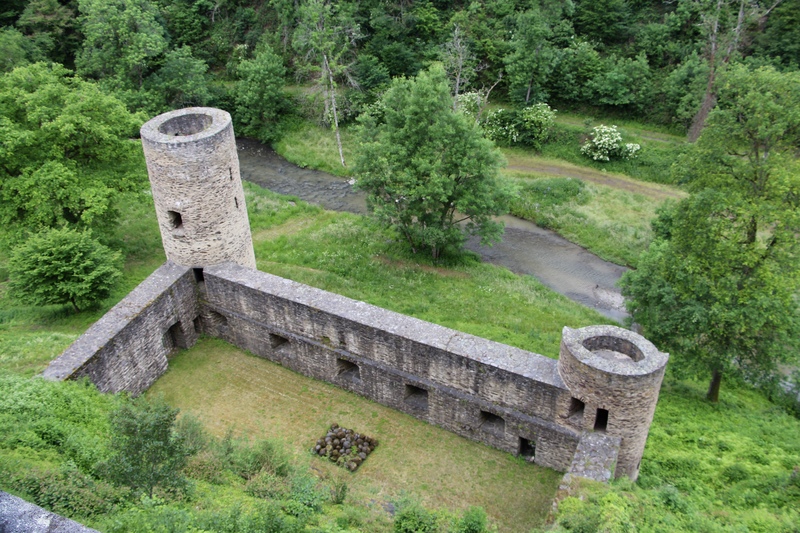 For a short while, we were the only people exploring the castle. 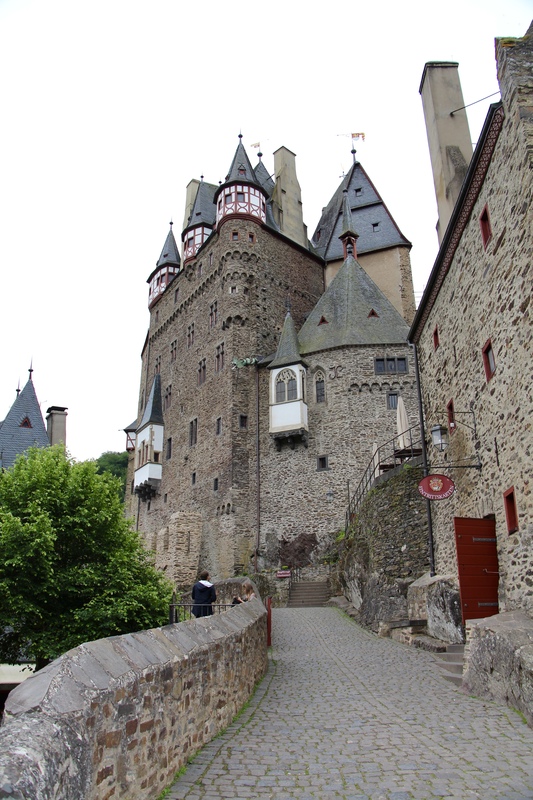 You can also arrive at Eltz Castle via motor coach, planned tours, bike, boat and public transportation. 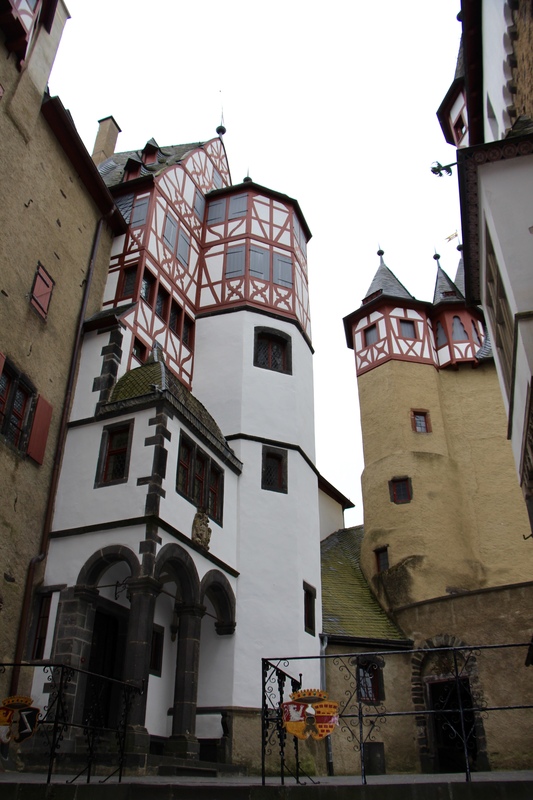 Visit the Eltz Castle website for helpful information to consider when planning your visit. 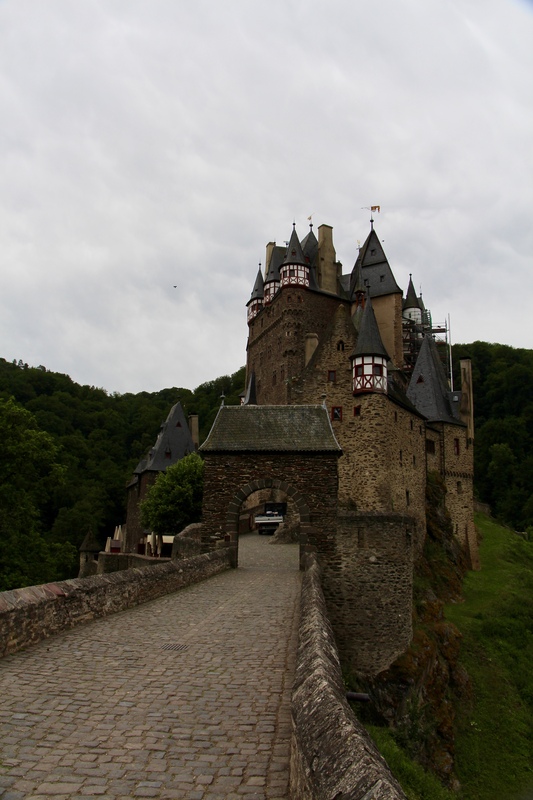 Eltz Castle is still owned by the Eltz family today, which is quite an accomplishment. It has quite the history! 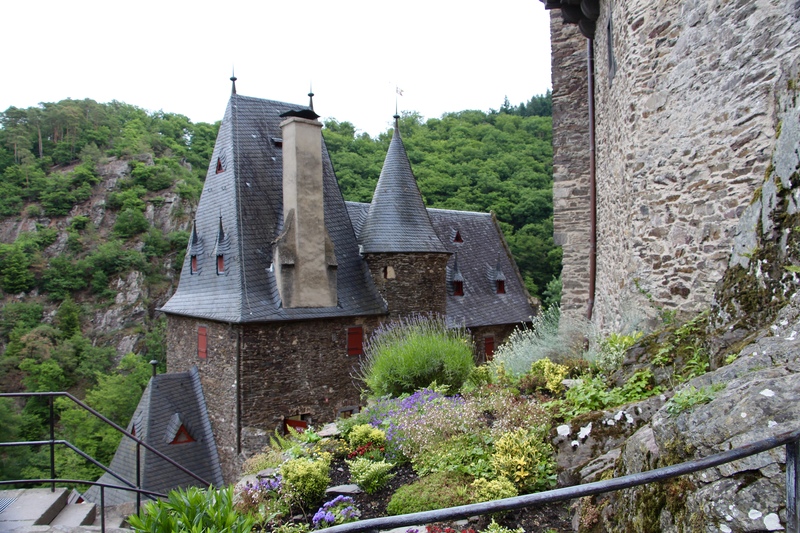 If you’re in the area, Eltz Castle really should be on your must-see list. Arrive early in the day if you want photographs without groups of people in them. 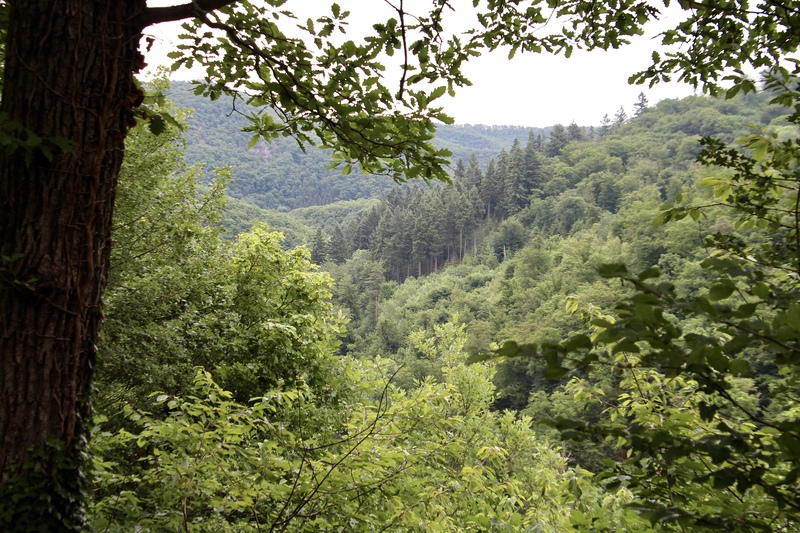 Also, unless you’re planning to take advantage of the great hiking trails around the castle, you don’t need to plan to stay very long. 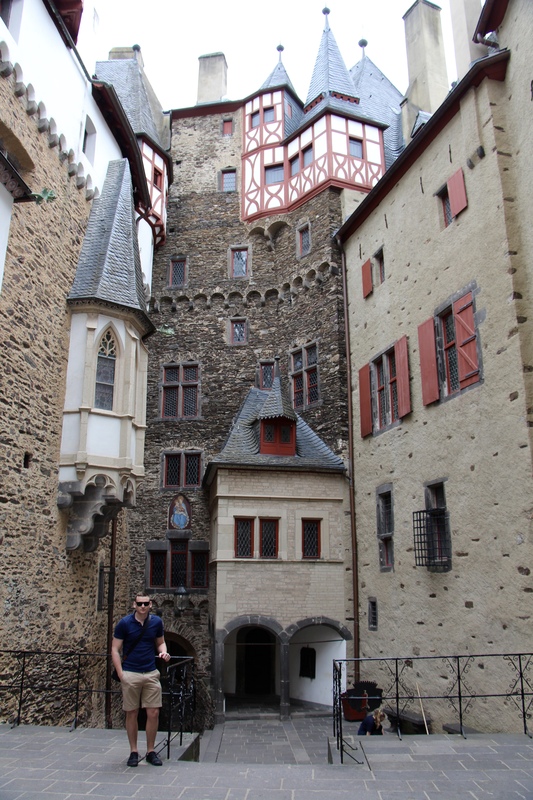 We walked around the castle and grounds for about 45 minutes before moving on and felt we had plenty of time. This is so much in my bucket list. I lived so near, yet could never make it. I will definitely go this summer. 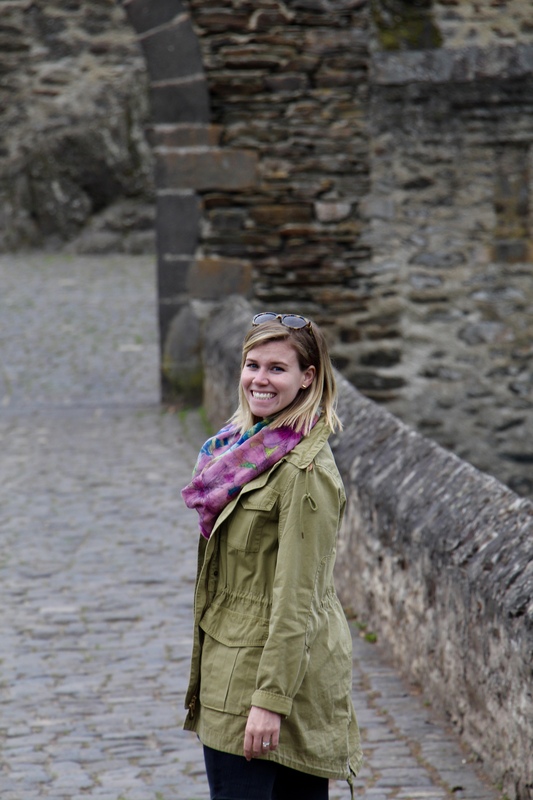 Thank you for encouraging me again through your post! You definitely need to go! It’s like something out of a fairytale! I’m jealous that you live so close! !